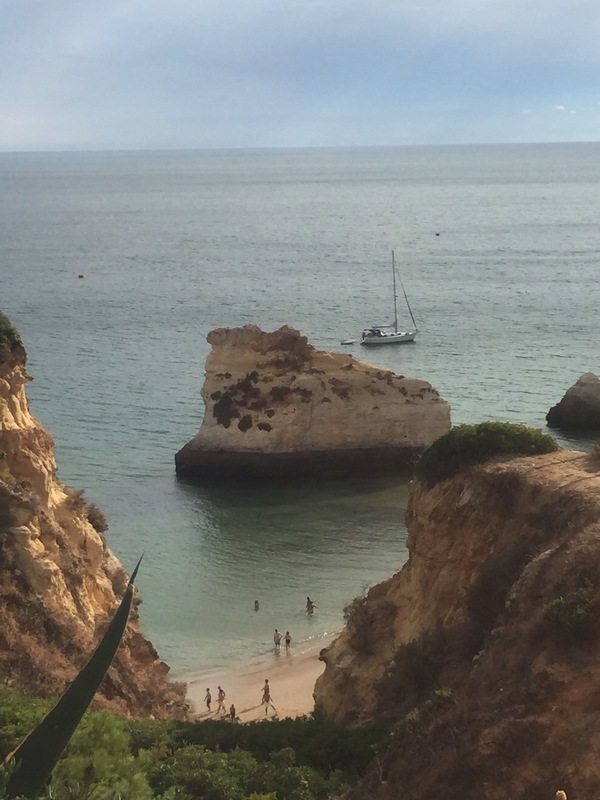 Today’s the day we wave goodbye to Portugal and head back home to Gibraltar. 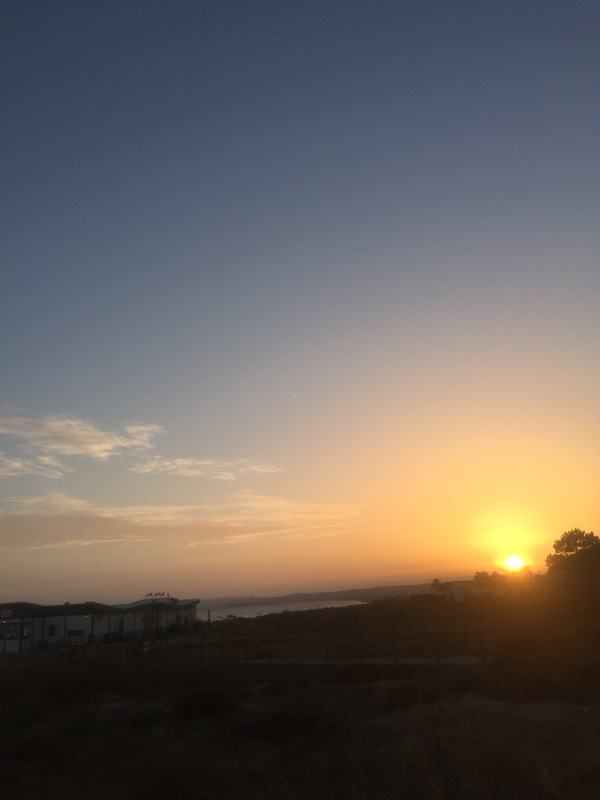 We have had a brilliant week and were lucky enough to meet up with friends which meant the children had buddies to play with on the beach and in the pool. 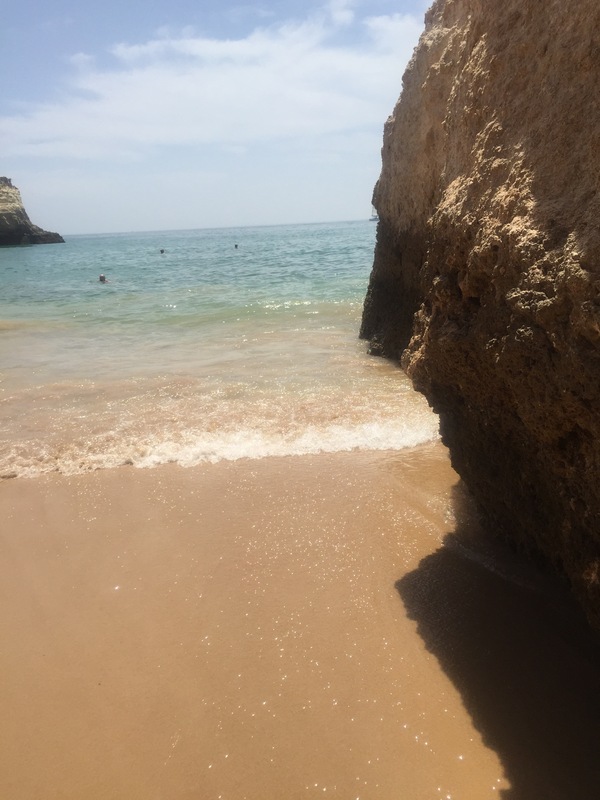 We have had mixed weather for our stay, some days scorchingly hot, on a couple of others we’ve even had rain but that hasn’t affected our enjoyment of this beautiful stretch of Atlantic coastline. 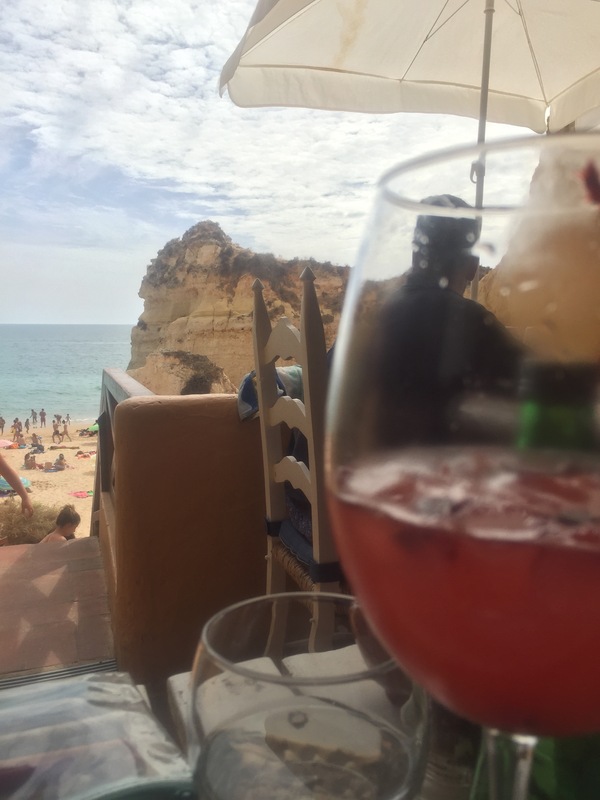 The aforementioned friends have been coming to this part of the world for many years and were able to introduce us to some lovely things like the red berry laden, white sangria above. It’s made with a fizzy white wine, spirits and strawberries, cranberries & raspberries and is divine. It also requires the drinker to have an afternoon nap! They are local sweets made with marzipan and filled with egg custard. 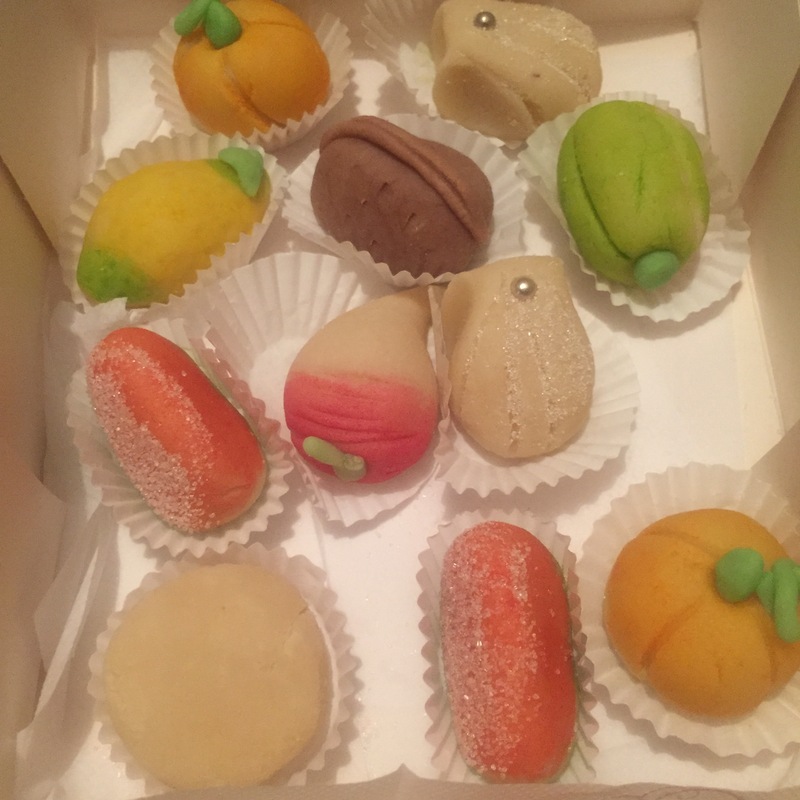 They looked fab and tasted delicious, from someone who doesn’t normally like marzipan that’s a BIG deal. 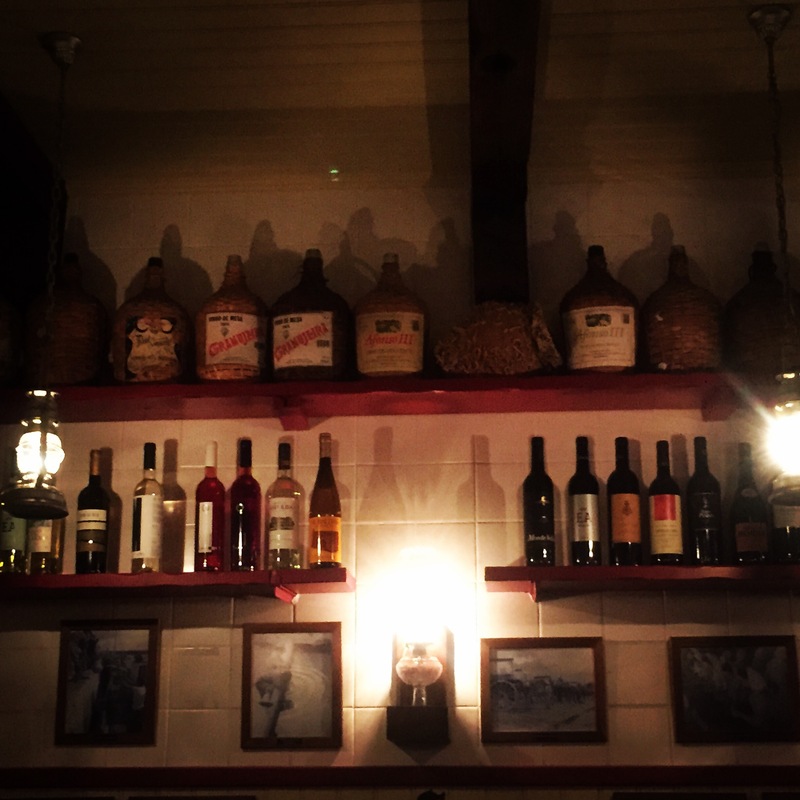 We’ve had great meals out, like the one in this atmospheric taberna in Portimão. I was ever so brave and ate clams and baby octopus (another BIG deal for me). There has also been plenty of time to be crafty and I’ve been making great progress on one of my cross stitch WIPs. 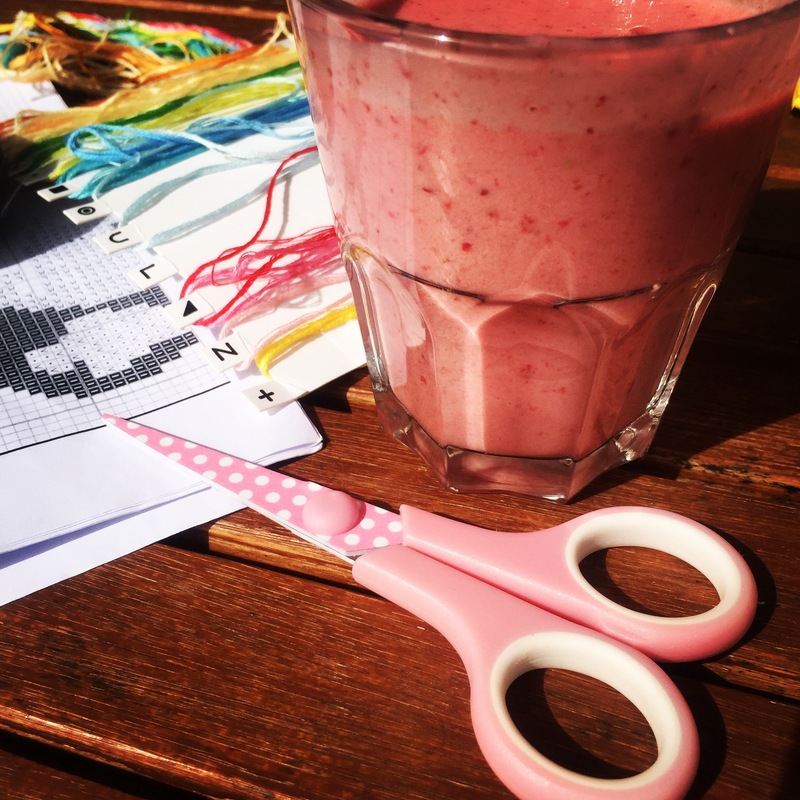 The stitching session below was powered by the most gorgeous homemade strawberry smoothie made by Mr Postcard and ably assisted by the smaller members of the family. 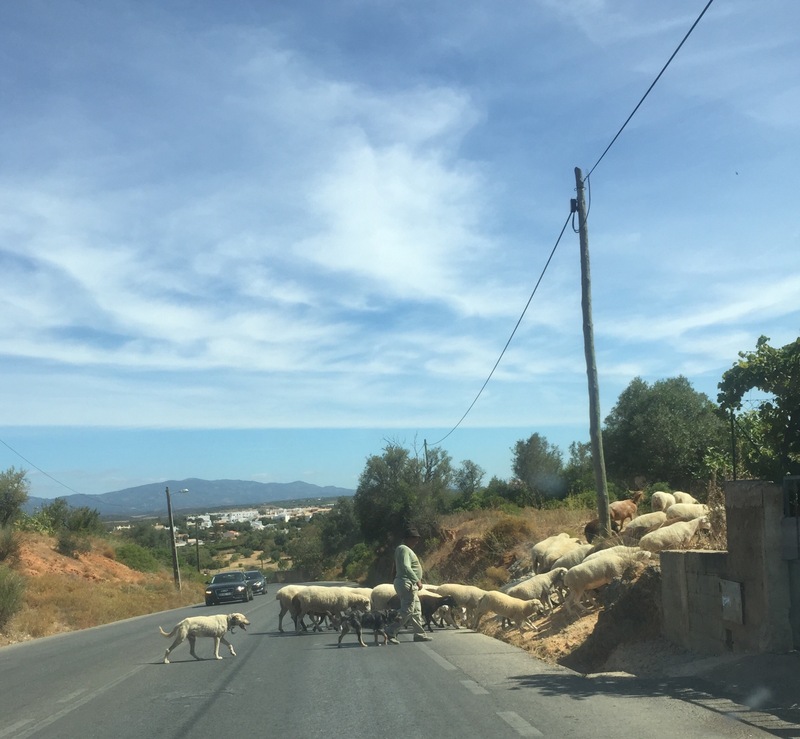 On one of our drives to explore the local area we witnessed the sight of a shepherd striding out into the road, bringing the traffic to a standstill. He had a few goats among his sheep as well as a couple of weary looking sheepdogs. 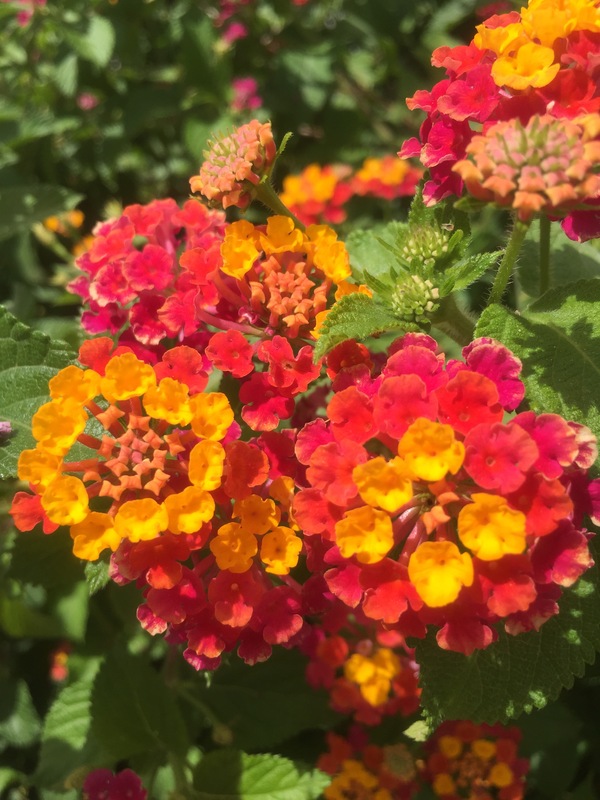 My floral appreciation has continued in the Algarve. I have been very disciplined and only chosen a couple of the many pictures I’ve taken for fear of boring you! 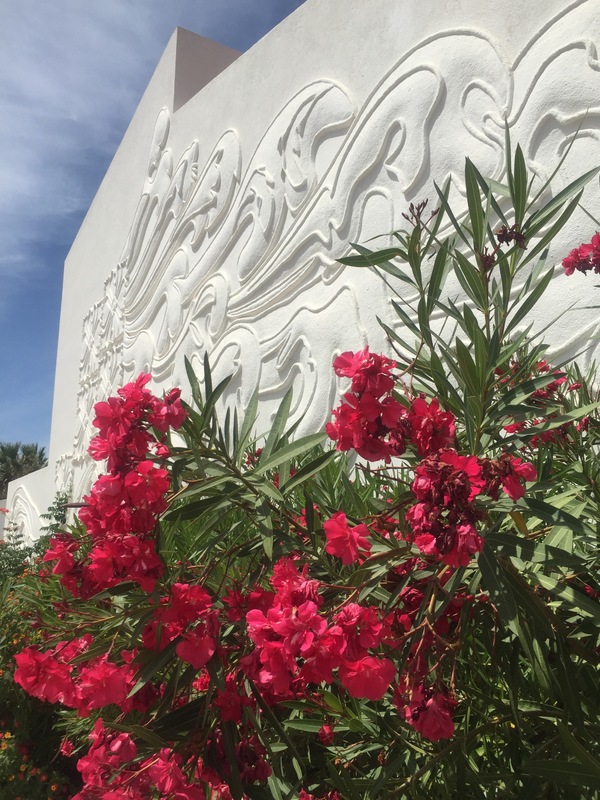 I thought this plasterwork on the side of this building looked stunning. Goodbye Portugal, thank you for having us to stay. We’ve had a wonderful time and hope to see you again one day! 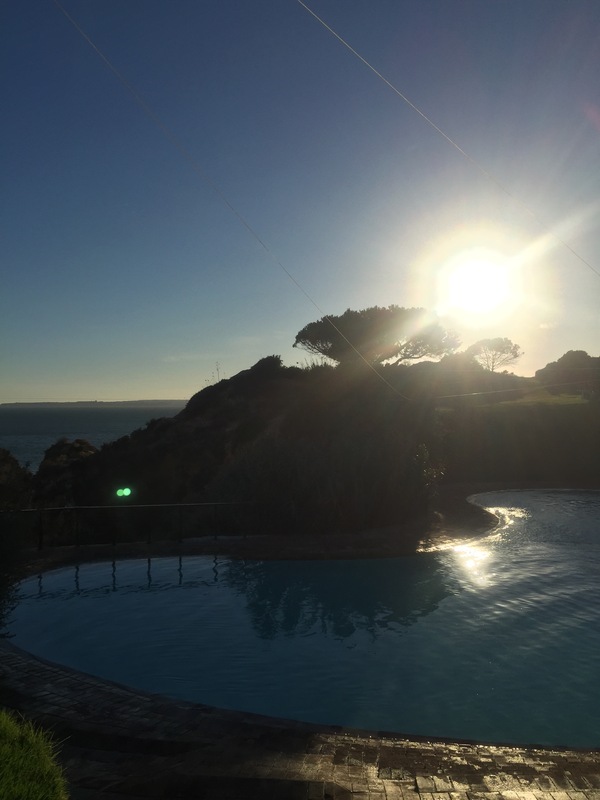 Portugal will miss your family too! Seems a lovely place to holiday judging by all these beautiful photos. 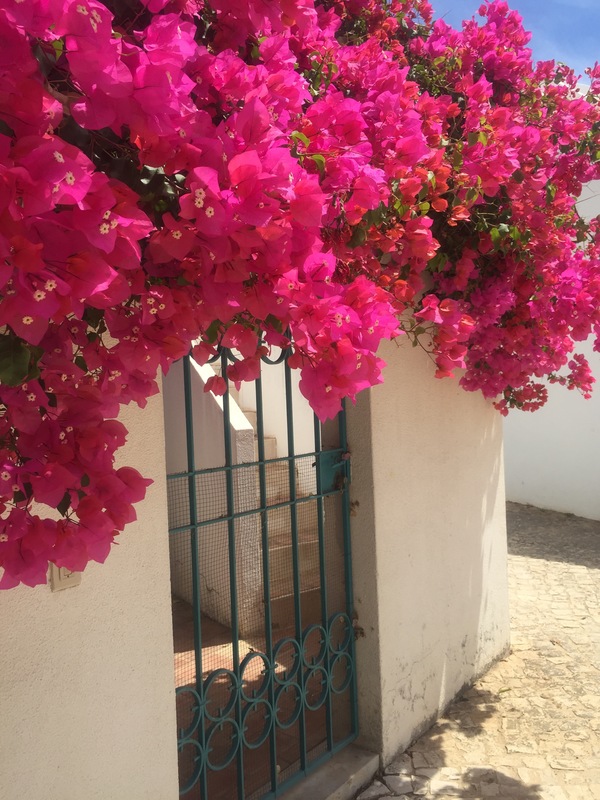 Love the vibrant flowers against the white plastered walls.